Heat the oven at 180ºC. 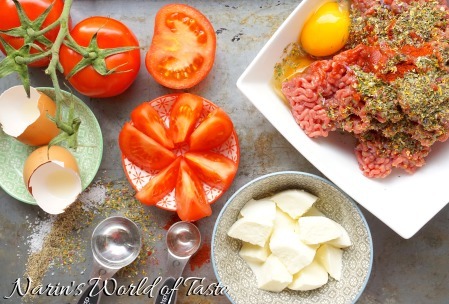 To make the meatballs, combine all ingredients except for the mini mozzarella balls and the fresh tomatoes into a bowl and mix them. I recommend using your hands to do this. 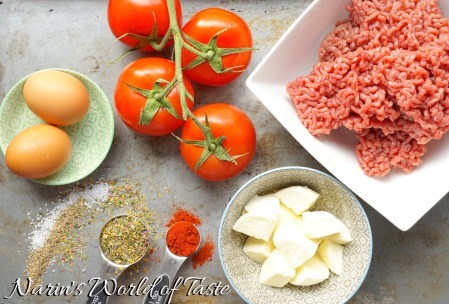 Shape the mixture into ~10 – 12 meatballs (∅ 5cm) and stuff each meatball with 1 mini mozzarella ball. 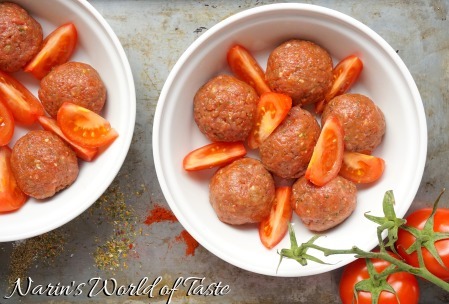 Put the meatballs into a large casserole dish or two small ones. 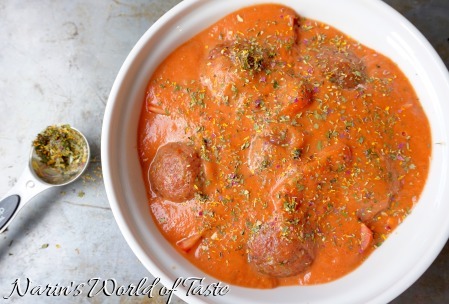 Cut the fresh tomatoes into quarters and place in the casserole dish as well. You can also add fresh chilies if you like it spicy. 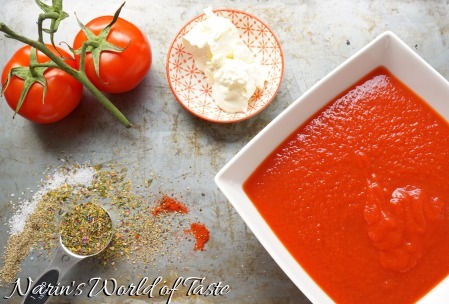 To prepare the tomato gravy, heat the tomato puree in a saucepan over medium heat, add the spice/flower mix and season with salt & pepper. 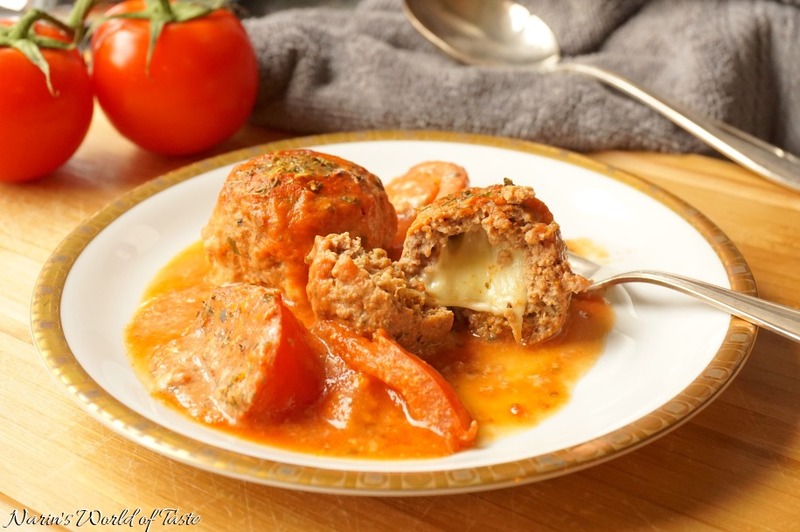 After a few minutes, remove from heat and add the mascarpone crème and stir, then pour over the meatballs. 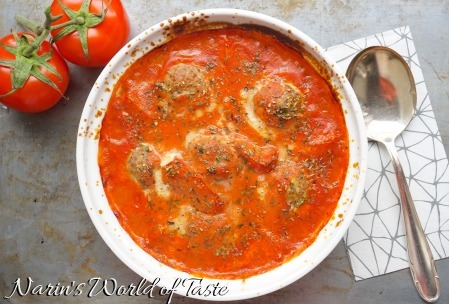 Place the casserole in the oven and bake for 25 – 30 minutes or until the mozzarella just melts and everything is nicely colored. I often serve the meatballs with celery puree.